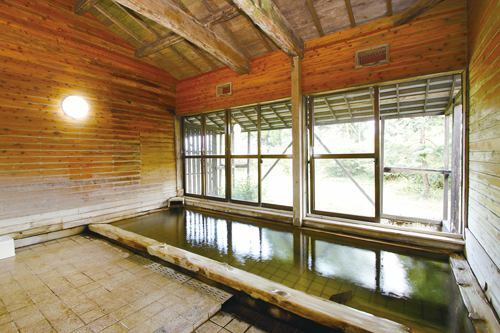 Secret hot spring filled with indulgent hot spring set in a separate building "Shirasagi-no-yu". The bathtub is a deep structure with a staircase. Fountain Fresh water is soft and nourished with a weak alkali of sodium - chloride - bicarbonate salt spring, soft, body has small bubbles attached. It is a hot spring that is loved and loved by locals as well as inside and outside the prefecture, which is also called "beautiful waters" or "kenbuchi no Kodakara-no-yu", which is also known as "slippery whole skin" when the bath rises.